Posted By:Unknown | At:10:04 AM Be the first to comment! 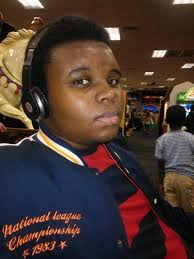 After almost a week, Police Chief Thomas Jackson has identified Darren Wilson as the officer who fatally shot unarmed, black teen Michael Brown on Saturday in Ferguson, Missouri. Jackson also announced the department would be releasing video of a strong-armed robbery that took place in the area. He outlined events that took place beginning at 11 a.m. the day of the shooting and offered an account of the incident that implies officers confronted Brown in connection with the robbery. Although Jackson initially said the name would be released on Tuesday, the police department later announced it would not be releasing the officer's name out of fear for his safety. Julie Bosman, a correspondent for The New York Times said Wilson is a six-year veteran of the force with no history of disciplinary action.